You should promptly report any injuries or other damages to your insurance carrier and cooperate fully with any requests for information from other insurance companies. However, you need to be very careful when speaking with them. Only give them the basic facts, such as when and where the accident happened, your name, and other identifying information. Do not give an opinion as to the cause of the accident, the nature and extent of your injuries, and definitely do not accept any fault in the accident. Many people think that lawyers only file lawsuits. An experienced personal injury attorney can help you manage your claim, and may be able to help you get compensation without ever filing suit. 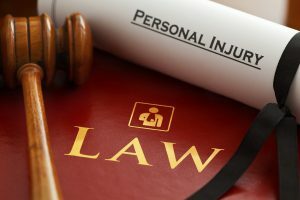 At a minimum, an experienced personal injury attorney can give you some direction in how you should proceed and whether you should consider legal action. Almost all personal injury attorneys offer a free consultation. You do not need to hire the first lawyer you meet with, but don’t spend weeks and months meeting with attorneys in order to find the perfect fit – you could be losing valuable time. Find an attorney that you’re comfortable working with, as the process could take months and even years to get resolved. Once you’ve hired a lawyer, she will then take charge of your case. She may ask for copies of all of your documentation, including medical files, invoices, and accident reports. She may want to meet with you multiple times to go over your case, and she may want to interview any witnesses. She can communicate with the insurance companies so that you don’t have to, and take steps to prevent you from suffering any financial harm as a result of the accident. The first step in the process is to send a letter to the at-fault party demanding payment of your claim for your injuries and other losses. If they don’t pay, your attorney may try to settle the case, or simply file a lawsuit seeking a judgment in the amount of your claim. The lawsuit may prompt the other party to settle the case, or it may have to go to trial. The idea of going to trial may seem scary, but it could take several months to get to trial, and your attorney will make sure that you are totally prepared. If you’ve been injured as a result of someone else’s negligence, the lawyers at Slappey & Sadd are here to help. From car accidents to dog attacks, we’ve been helping accident victims across the state of Georgia since 1992. Contact us today for a free consultation – call us at 404-255-6677 or email us via our online contact form.